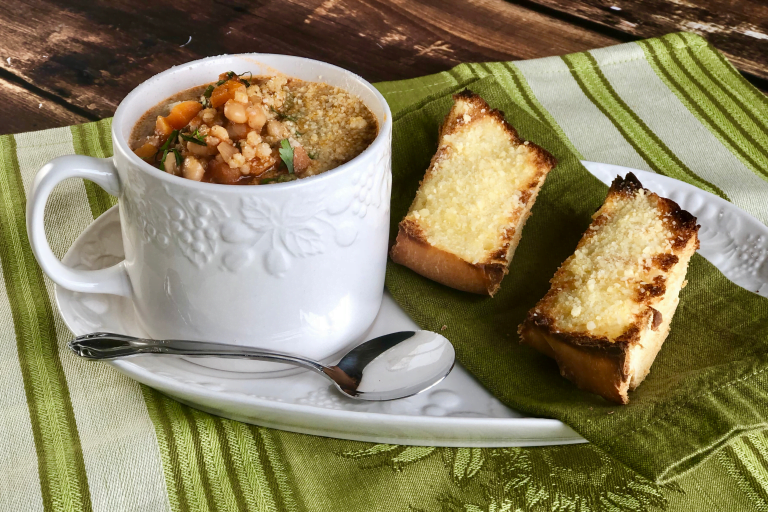 I love making easy meals for my family and this is the perfect, easy low-carb soup recipe! There are only four main ingredients in this Low-Carb Tex Mexican Soup: ground beef, cream cheese, a can of tomatoes and diced green chilies, chicken broth, and a few seasonings. I always have these ingredients on hand, so this is our perfect go-to meal when the weather cools down. 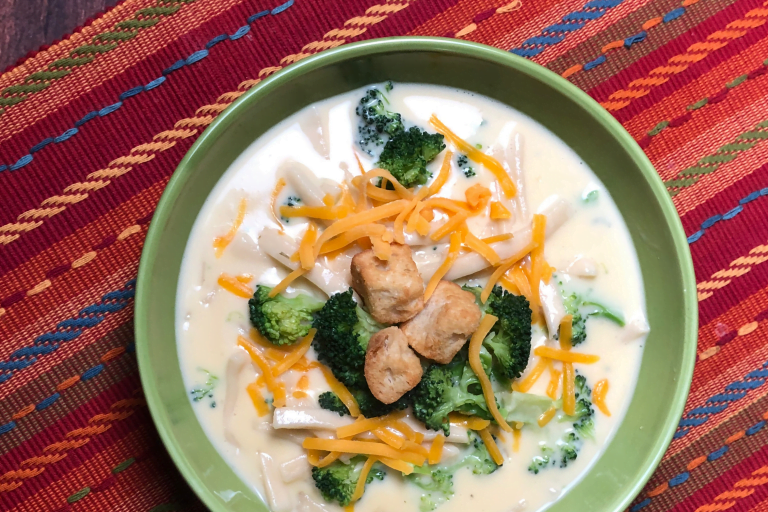 This soup is one of my favorites because it is very creamy and satisfying. BDP and the boys like it because it has the hamburger and so much flavor! When they work hard on the ranch they have a strong preference for hearty recipes with meat. I love that the recipe goes together so easily and gives me more time in my day to do other things. The slow cooker makes my life in the kitchen so much easier! This recipe is the perfect example of being able to mix everything up and just come back later to enjoy it when our schedule allows. Because we live on a ranch, it’s hard to know exactly when the guys will get inside for dinner, so we rely on our slow cooker a lot for keeping meals warm and ready to go. You just never know when a cow or calf will need extra attention and dinner simply has to wait. We also enjoy this hearty low-carb soup as well: Low-Carb Chicken Bacon Ranch Soup. 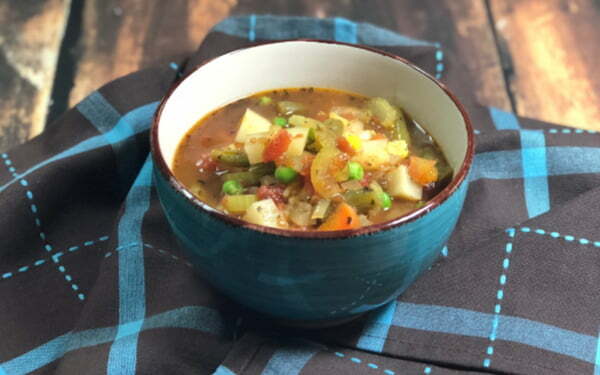 Did you realize you can also make this Tex Mexican Low-Carb Soup in Your Instant Pot? Having trouble getting your Instant Pot to mind? Check out my 6 Instant Pot Troubleshooting Tips before you give up! Place cream cheese into greased slow cooker set on high. When cream cheese is softened, stir in spices, ground beef and tomatoes; combine well, then stir in chicken broth. Reduce heat to low and cook for 1-2 hours. Ack! My Instant Pot Won’t Pressurize! Are you having trouble getting your Instant Pot to work? Download my FREE Instant Pot Quick Troubleshooting Guide now, then check out my 6 Reasons Why Your Instant Pot Isn’t Pressurizing for a more in-depth look at what’s ailing your Instant pot before chucking that thing out the window! Looking for more great recipes mailed straight to your inbox? Click below to get Chef Alli’s Weekly Meal Inspiration! Glad to get your recipe but taking four pages is a little much. Hi Velora: If you scroll down, you will see a PRINT button. Then you just get the recipe. I thank you for this recipe I am always looking for low carb recipes! This sounds amazingly delicious. I may add a bit more heat when I make it because I love spicy. One thing though…to make this truly low carb, it needs to be full fat cream cheese. Our first cold day, I’m making this! Hi Jan – hope you enjoyed this soup. And, yes, you are correct. The cream cheese needs to be full fat! Sorry about that. I wonder what this dish would last like with chipped beef instead of hamburger. Just a thought, it’s already good. Hi Bob – I’ve not tried it with chipped beef, but I think that sounds WONDERFUL! As soon as the weather officially turns cool again (and I hope that’s a little ways off!) I’m going to give it a try. Thanks for the suggestion! I am thinking the can of tomatoes is 14.5oz. Is that correct? I am making this tomorrow thank you. Hi Jill – it’s the 10 oz. can of diced tomatoes and green chilies….such as Rotel. Thanks for asking – I’ll get this recipe adjusted so it reflects that! I would like to make this soup but have 1 question: What is the size (ounces) can of tomatoes & chilies that you use? The recipe doesn’t say. Hi Deb – thanks for pointing this out to me so I can make a correction on that recipe. It’s just 10 oz. can of diced tomatoes and green chilies. I loved it! Might cut back on chicken broth next time. If using low fat cream cheese understand carbs replace the fat and increase the carbs in this soup! Hi Kathleen – this recipe has gone viral and has been a super hit. Isn’t it just yummy?? And, yes, you are correct. Low Fat cream cheese does have a few more carbs than regular cream cheese. Is there a version for not using a crockpot? Can this be done on the stove top? Thank you for adding this! I’m making it on my stove now. So excited. Hi Courtney – My pleasure. How did it turn out?? Hope you enjoyed the soup – it’s a favorite! Approximately how many will this serve? About 8? Can’t wait to try it…sounds yummy and it’s going to be cold in south Texas this week! Hi Danni – I’d say 6-8, depending on your eaters. 🙂 My guys eat alot, so I’m never exactly sure what a TRUE serving is. Hope you enjoy this recipe.